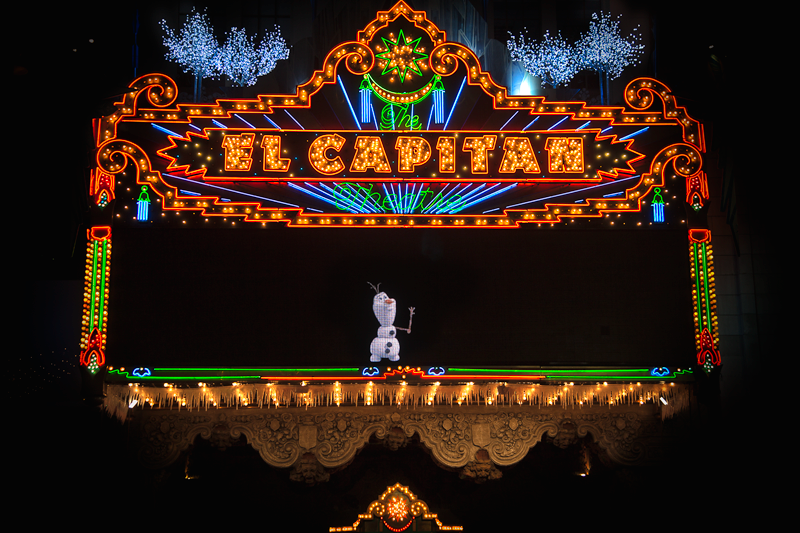 The El Capitan Theatre came up as something to check out in LA when we were planning our trip. We can count on one hand how many times we've gone to a theatre in the last 5 years. 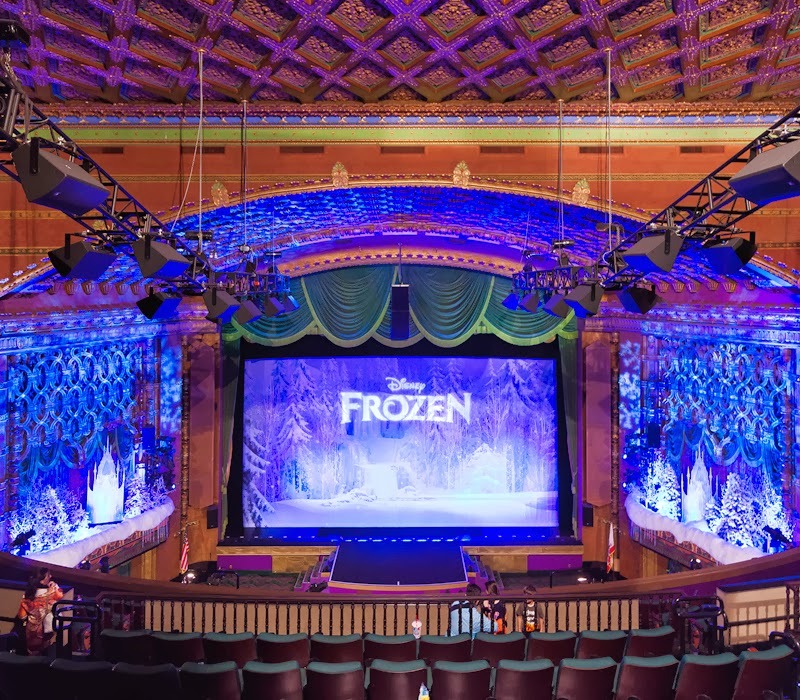 Seeing a movie is something you can do anywhere, so it seemed a little silly, BUT we were heading to Disneyland the next day and the old theatre is just stunning. Since we knew it would be a long day at Disney, we decided not to be so precious about our time. Watching Frozen would be a relaxing evening. The movie was adorable! Frozen's music was so catchy (this interview with the composers is really interesting if you like to know how things come together). The El Capitan shows old Disney movies as well, like Mary Poppins. If you have children, I think it would be such a great afternoon to take them out to see some of the classic films. It looks like a really awesome theatre. I love the old school theaters in Los Angeles from the heyday of Hollywood. Slow but surely, the abandoned ones are getting renovated. I can't wait until they bring back Broadway!